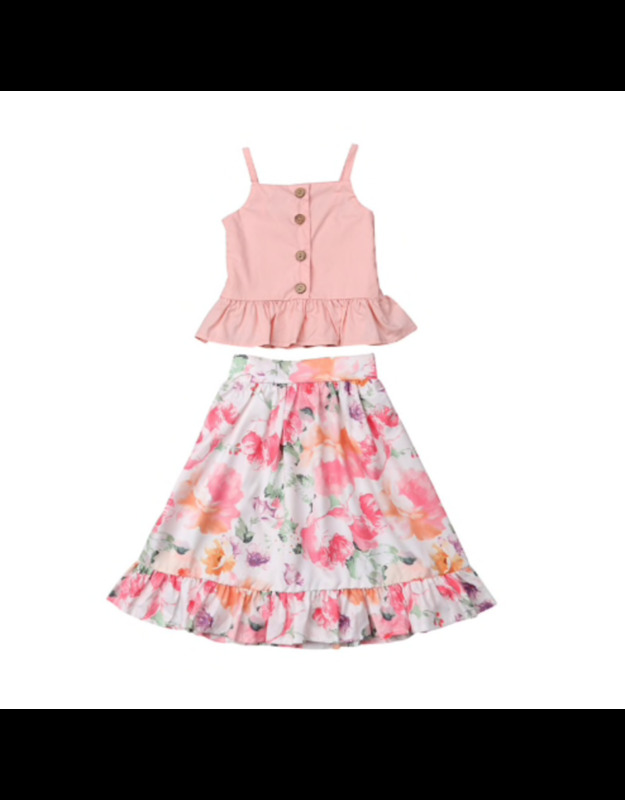 This beautiful floral skirt and matching pink button down tank top will make the cutest Spring outfit for your little girl. 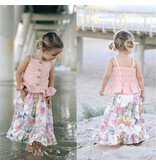 Skirt is made of 100% cotton and has a ruffle detail along the bottom. Back has an elastic band for a more comfortable fit. 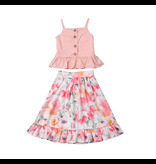 Top is made of 100% cotton with real button closure on the front and ruffle detail along the bottom. 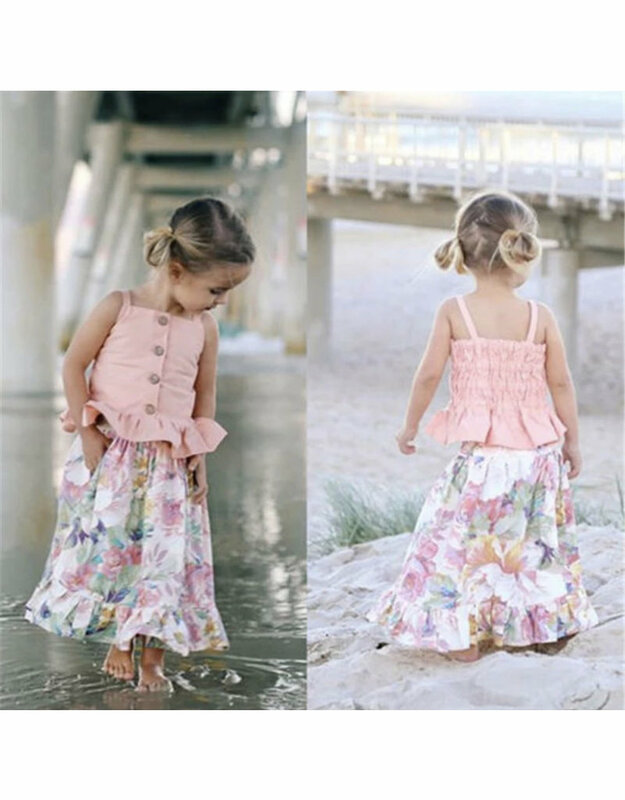 The back has a cinched ruffle detail, allowing for extra stretch.